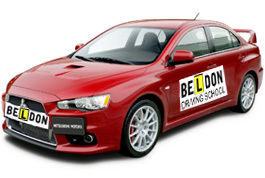 Welcome to Beldon Driving School! A family-run company, we have 35 years' experience in driving instruction, and have helped thousands of students learn safe and sound driving skills over the years. In fact, many of our students today are the 2nd generation from their families to learn driving under our instruction. With our caring and professional approach towards teaching our students the art of driving, our students are better prepared than most when it comes to navigating the streets and highways with confidence.